Though some consider it cowardly to use, poison is a weapon favored by orcs, especially those weak of frame. 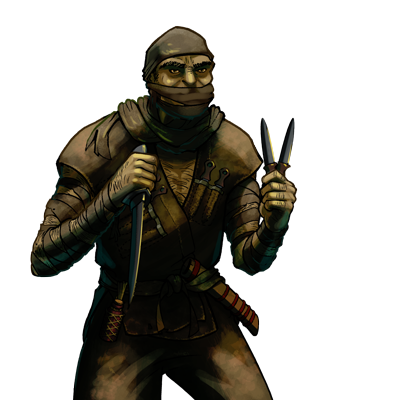 Orcish assassins, who use it on throwing knives, are typically frail by orcish standards, although surprisingly nimble. Though rarely the ones who deal the killing blow, their tactics are a considerable aid to their larger and more brutal kin.